President Vladimir Putin and Russian Internal Troops commander Viktor Zolotov during a meeting at Moscow's Kremlin, April 5, 2016. A series of important changes has taken place within Russian security organs, with the most significant being the establishment of a National Guard, to be formed from Interior Ministry troops. A reorganization of government bodies has seen Russian President Vladimir Putin place the Federal Drug Control Service of the Russian Federation (FSKN) and the Federal Migration Service (FMS) under the authority of the Interior Ministry. Additionally, the president has announced the establishment of a separate body, the Russian National Guard, to be drawn from Interior Ministry troops. The announcement was made on April 5. "We are creating the National Guard, which will fight terrorism, organized crime and in close contact with the Interior Ministry will continue the functions that were carried out by the Special Purpose Mobility Unit, the Special Rapid Response Unit and so on," said Putin at a meeting with security chiefs in the Kremlin. The Russian president expressed the hope that the new National Guard forces will continue to carry out their tasks effectively, and said that work concerning priority situations will be intensified. 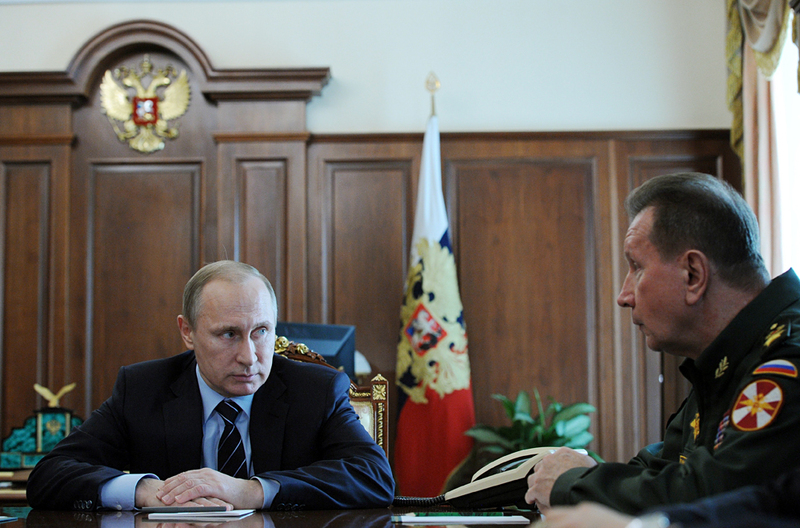 Putin has appointed Viktor Zolotov as commander of the Federal National Guard forces. Why does Russia need the National Guard? In an interview with Govorit Moskva radio, Chairman of the Coordination Council of the Interregional Moscow Police Union Mikhail Pashkin said that the interior troops have always been used for protecting order. "They will be involved in the fight against terrorism in the sense of providing security for FSB, Interior Ministry and other structures' operational information. They will also maintain public order,” said Pashkin. “The interior troops have always been used for these tasks. The Interior Ministry will be relieved of a big burden. If the function to protect public order is transferred to the National Guard, it will only be better for the Interior Ministry," he said. Chairman of the Reconnaissance Veterans Union Anatoly Gribanov believes the formation of the National Guard will also make life easier for the police. “The guard's objective is to protect the homeland: from civil defense to the fight against terrorism. In certain tasks this new structure will replace units from the regular army and the Interior Ministry. Furthermore, the National Guard will also serve as a foundation for the reserves, which are necessary to back up the troops," he said. On the morning of April 6 it was announced that the president had presented a bill to the State Duma that states the National Guard's potential powers. It is possible that its agents will be allowed to shoot without warning "when there is a direct threat to citizens or the agents themselves." In all other cases they will be obliged to give a warning. They may also obtain the right to examine vehicles, check the documents of those suspected of crimes and detain them for a period of up to three hours. Moreover, the bill proposes to allow the National Guard to use special resources "to stop mass disorder," such as water cannons and armored vehicles, if the prosecutor is notified a day in advance. General Viktor Zolotov has known Vladimir Putin since the 1990s and is considered one of his closest supporters. From 2000 to 2013 he headed the Russian Presidential Security Service. In 2013 he was Deputy Commander of the Interior Ministry troops and in May 2014 Putin appointed him to the post of First Deputy Interior Minister, the commander of the Interior Ministry troops.